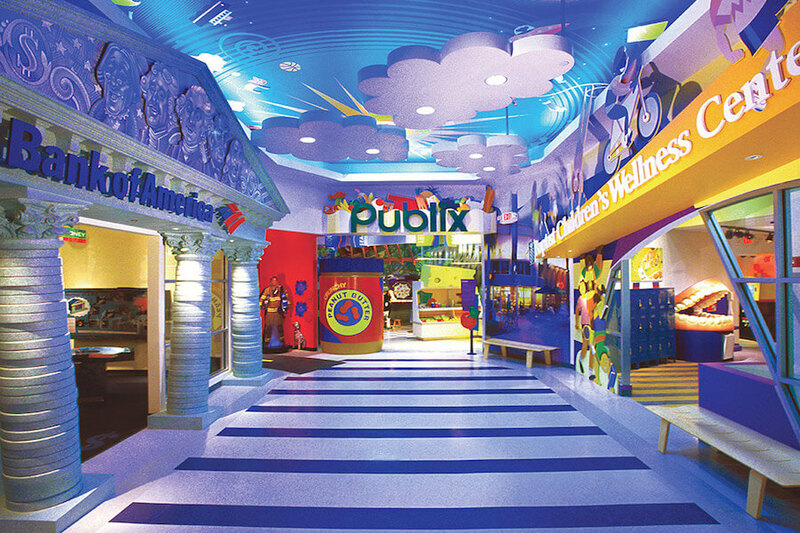 Spend the day with fun and educational activities at the Miami Children’s Museum. The museum offers a variety of interactive exhibits and experiences that tadpoles of all ages will love! With outdoor activities and engaging exhibits at the Miami Children’s Museum such as Mt. MichiMu, Ocean Odyssey and more, families with tadpoles can have a day full of learning and entertainment. The Go Miami® Card is the best choice for maximum savings and flexibility. Save on over 30 top attractions and activities including Miami Seaquarium, Jungle Island, glass bottom boat cruise, snorkeling, bicycle rentals, Fun Spot America Theme Park, Everglades tour, WonderWorks, and more for one low price. Enjoy the flexibility to choose attractions as you go and do as much as you want. Visit as many attractions as you want. Miami 3 Day GoCard is valid for 3 calendar days between 10am and 5:00pm. Miami 2 Day GoCard is valid for 2 calendar days between 10am and 5:00pm. The Go Miami® Card is the best choice for maximum savings and flexibility. Save on over 30 top attractions and activities including Miami Seaquarium, Jungle Island, glass bottom boat cruise, snorkeling, bicycle rentals, Key West tour, Everglades tour, and more for one low price. Enjoy the flexibility to choose attractions as you go and do as much as you want. 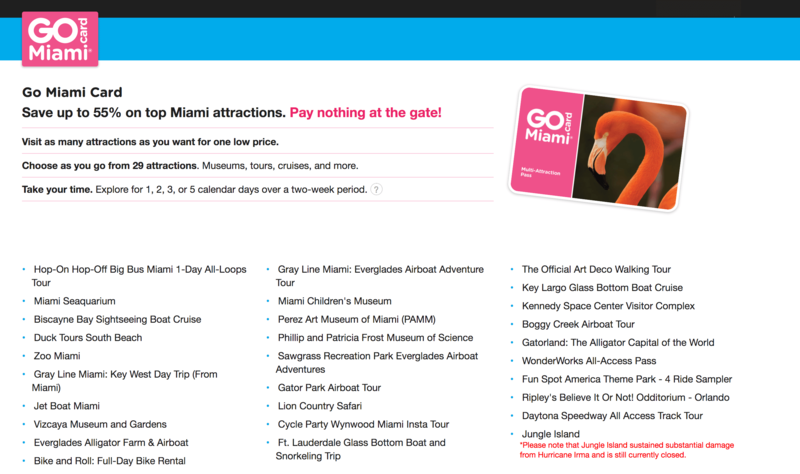 Miami 5 Day GoCard is valid for 5 calendar days between 10am and 5:00pm.